Someone is missing from Blac Chyna's awkward family photo. Blac Chyna posted this awkward family photo to Instagram on Tuesday. As if the family-portrait-from-JC-Penny vibe wasn't strange enough, there appears to be one family member missing from the photo: a one Mr. Rob Kardashian. As you can see, children Dream and King Cairo are present in the photo, while Rob has been mysteriously left out. This has the internet wondering: Why would Blac Chyna leave Rob Kardashian out of the family photo? 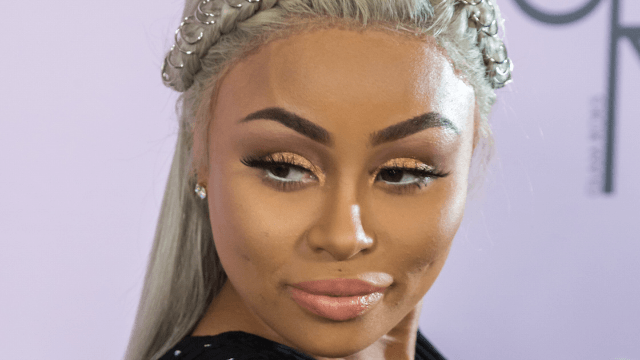 Are Rob and Chyna in another one of their classic fights? Is it just an innocent family photo that the internet is over-analyzing? Are Rob and Chyna actually fine and maybe we should just let them post whatever family photos they want?